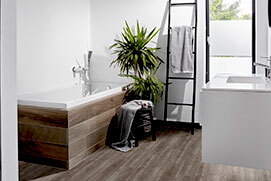 Whether you’re looking for a contemporary or traditional bathroom, we can help you choose everything from the finishing touches to a full relaxing bathroom or practical wetroom, you’ll be spoilt for choice when you come to visit our Garstang showroom. We will come and measure your chosen room space before inviting you to view your 3D bathroom design in our showroom, this way you can see exactly what your new bathroom will look like. We offer a full installation team of qualified bathroom fitters & we can project manage the whole job from start to finish; alternatively, we can simply supply and leave you to choose your own installation team. Let us make your bathroom dreams a reality.